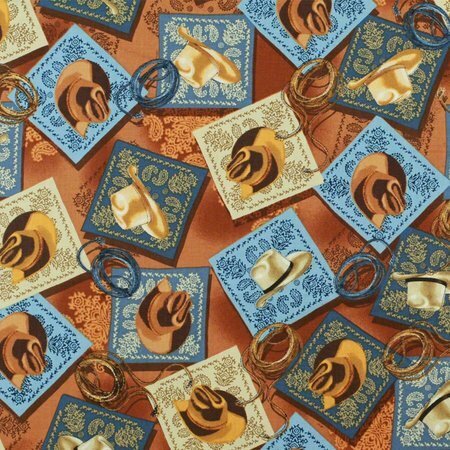 Bandana Hats from the Wild Wild West fabric collection designed by Maria Kalinowski. 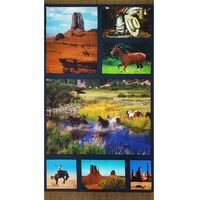 This print features cowboy hats on bandanas with lassos and paisley in between. 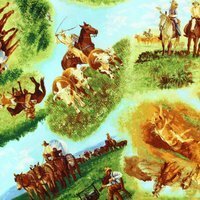 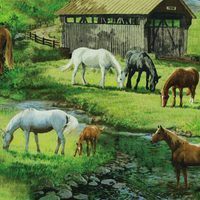 Use this fabric for your next western themed sewing project.